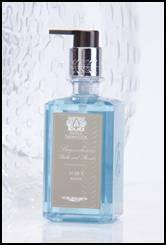 The Antica Farmacista Fragranced Body Moisturizer is the newest way to wear the signature scents of the brand. This body lotion includes natural moisturizing ingredients such as aloe vera, apricot kernel oil, green tea and fruit extracts, sweet almond oil, silk amino acids and proteins, shea butter and honey for superior hydration and moisturization. 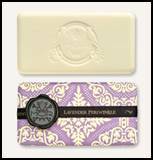 Its soft texture is flawless, and leaves skin radiant without a sticky residue. 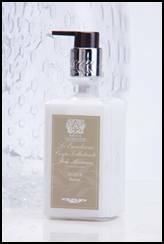 The new Antica Farmacista Fragranced Bath & Shower Wash allows you to start the day or end it enveloped in a transporting scent. Enriched with sweet almond oil, silk amino acids and proteins, chamomile extract and honey, this foaming body wash creates a rich lather that cleanses skin while leaving it silky, moisturized and nourished. 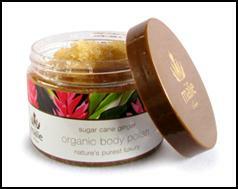 Exfoliate and revitalize dull, dry skin as you transcend to tropical bliss with handmade Organic Lilikoi Lemongrass Body Polish. These uplifting, beneficial botanicals rescue skin from fatigue and daily stress by reducing swelling and puffiness and stimulating blood flow. Organic Virgin Coconut Oil and Mango Butter nourish and moisturize fresh skin as your mind and spirit are transformed. 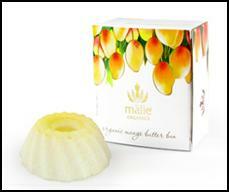 Luxuriate in the ultimate, skin-moisturizing shower as you revitalize dull dry skin with our Mango Butter Bun. Perfect for sun recovery, it’s enriched with the nourishing fat of the Mango seed, Cocoa Butter and Vitamin E. The Butter Bun is heat-activated by steam and warm water to hydrate, while quenching your skin with anti-oxidants, vitamins and minerals. 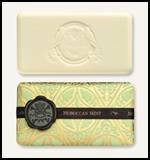 Leaves skin deliciously silky with a beautiful golden glow. 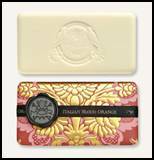 Each exquisitely wrapped bar is a fragment of 18th-century ornamental decadence: generously sized, triple-milled and so beautifully fragrant that you don’t even need to unwrap it to know that this soap is pure luxury.